Every painting is about the land; the land that sustains me; the land that inspires me; the land that gives me respite and begins with a walk in the North Georgia Woods. I use a mixed media approach to create a sense of place combining seemingly incompatible transparent watercolor and charcoal. The underdrawing in charcoal is a promise that defines shape and value relationships then watercolor refines and enhances fulfilling the promise. 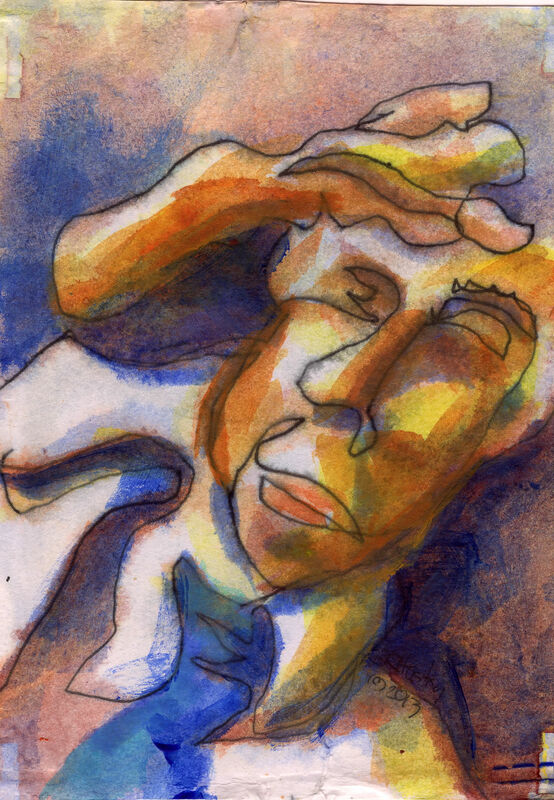 Visit my new website Richard Huston Watercolors and let me know what you think. I have seriously liked this painting since I did it back in September of 2014. There is joy and freedom to this one that I really want to portray in my work. There have been others that have come close to capturing the same sense for me and these have all been my most popular posts. These are the works that speak most directly to others. This kind of direct expression is not an easy journey for me and requires a lot of preliminary work. I like to call it reaching the point of creative frenzy. I tend to be rather deliberate in the way I approach life, 0ne of those people that tries to get neither too high nor too low. 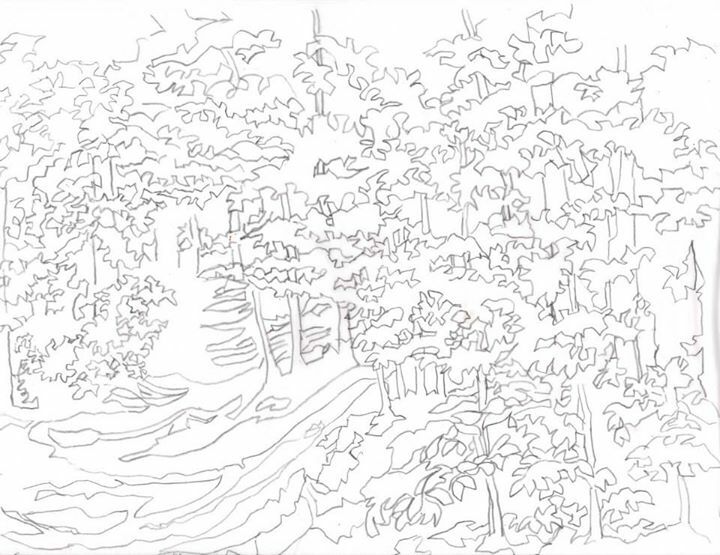 After thinking about how many times I’ve drawn and painted in Ben Burton Park over the last few years, I can’t ever remember doing one that shows the mouth of noname creek where it flows into the Oconee River. This drawing/painting answers that need. I began this work by toning the paper with charcoal. I do this with soft compressed charcoal using very little pressure then take a soft cloth to even out the tone. It’s important not to use much pressure because you don’t want to grind the charcoal into the surface. I want a nice “even” middle value. Once I finished toning I begin carving out the highlights using plastic and kneaded erasers. When the whites are established I begin to add additional tones and refine the drawing. Drawing, then, to be worthy of the name, must be more than what is called accurate. It must present the form of things in a more vivid manner than we ordinarily see them in nature. I wanted to work up a study that had the same proportions the eventual work would have, so I used a 1/8 sheet (11×7.5). This has the proportions of a half sheet (22×15) the size I will be using for the finished painting. I do need to continue working larger eventually I’ll start working on full sheets (22×30). Get the drawing right. If you have followed this blog for a while you know how vital I believe this to be. Once the original pass with the water/Gum Arabic mix had dried I begin to add color. Cadmium Yellow Deep in the highlights and Ultramarine Blue into the shadows. After the first pass had dried I began adding Cadmium Orange and a neutral grey created by a mix of Cadmium Orange and Ultramarine Blue. At this point I use my mister to spray water over the surface; this helps soften the image and adds texture to the work. The painting was allowed to dry before moving on to the next stage. I begin to add some Dioxazine Purple and reinforce some of the charcoal work. This the point when you have to carefully pull it all together. The opposite bank is reduced to a ribbon along the top but I needed to strengthen it balance the foreground and water and help lead you into the painting. I deepened the shadows where the water and land meet as well as using a grey made by mixing Cadmium Orange and Dioxazine Purple over some additional charcoal to suggest the undergrowth and dense vegetation. I also did a bit of lifting to add some lighter values in a few places; as well as, strengthening some of the color. At this point I had to be careful because so much of the Gum Arabic mix had be used it created a barrier to absorption and color would easily liquefy and move. 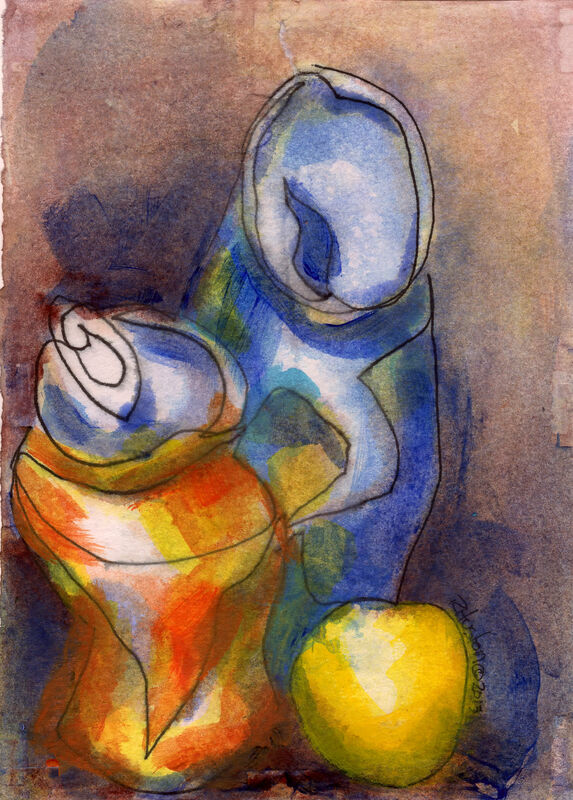 I began this small painting with drawing directly on the paper without the customary line drawing, tracing and transfer. My main problem with this work is I got too dark in the initial stages. This is something I will need be more careful with in the future as I continue. The Friends of Skull Shoals Inc. Doing a charcoal or pencil sketch on your canvas before applying paint? Technically it’s mixed media. 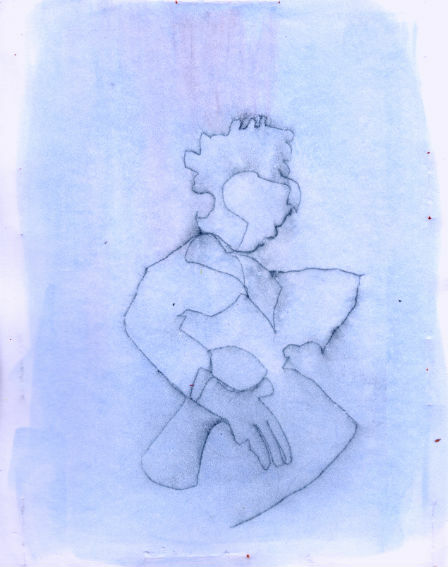 I don’t really care too much about labeling since the art is in the doing and right now the doing involves sketches and drawings turned into tracings for transfers to the watercolor paper and painting. I guess you could call them mixed media I’ll leave labels to others. To you if you’ld like. The scientists are beginning to see what artists, crafters and art lovers have always known. Art, in other words, is an extension of the creator…” write Professor Daniel M. Bartels of Chicago Booth, and Professor George E. Newman and Rosanna K. Smith, a doctoral student, both of Yale University School of Management. “magical contagion” — the idea that the essence of the artist rubs off on the creation. University of Chicago Booth School of Business. “We see art more as a person than an object: ‘Magical contagion’ spreads creator’s essence to pieces.” ScienceDaily. http://www.sciencedaily.com/releases/2014/09/140916111710.htm (accessed October 13, 2014). With drawing heads 6, I am starting to develop a style that and adding a touch of color that allows me a great deal of freedom in expression. 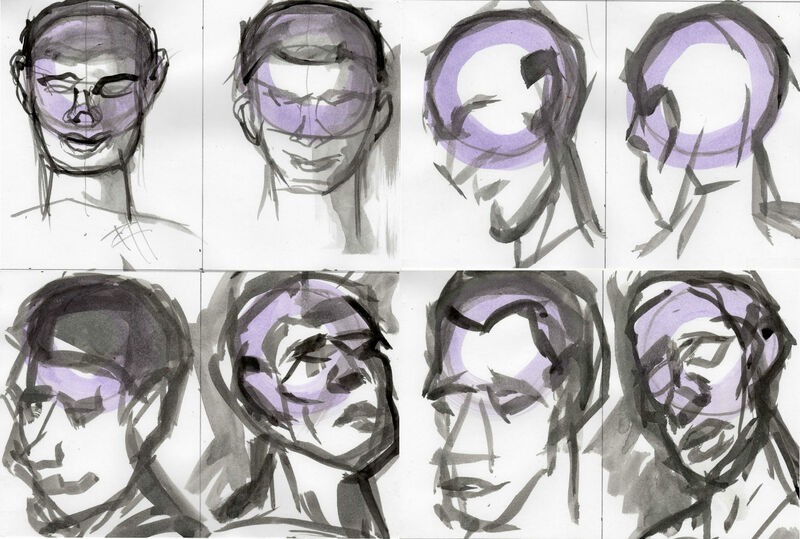 Another thing I’m trying with this group of brush drawings is to use a mixture of India ink and black acrylic. This mixture is something I used several years ago when I was preparing the transparencies used for creating silk screens. The acrylic adds more body to the ink and the ink adds more depth to the acrylic. Once again I wanted to work on saturated paper but at this point in the process I think it’s way to early. In the second row a bit of color was added for spice. 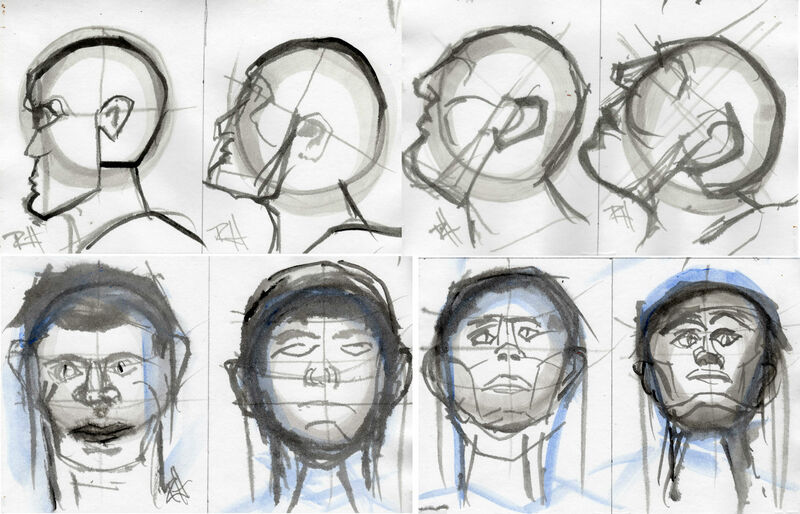 Andrew Loomis’s Drawing Heads and Hands. I succeeded in simply attending at the birth of all my works. The art is in the doing not what you do it with. Life is ‘trying things to see if they work. The drawing is reborn in the painting . Pure color creates a pure statement. A limited palette provides an infinite variety. The gel pen ink is permanent and archival but as you resoak the paper it softens and floats back to the surface. Edges can be manipulated even with the bold natures of the original drawing and acrylic. I used colors and combinations of colors that I have found to work for me in this exploration of a new painting process. Working on the soaked paper draws the acrylic into the paper itself and helps keep the look fresher and flatter, less plastic. The paper gets stiffer with each layer of color and requires more soaking time. One of the fun things about getting a new computer with a different operating system is you get to experiment with all the new applications and programs that are written for it learning how to use them. For my new Header I used the Pixir Editor. Since I want my Header to better reflect how I’m working right now, the plan is to change it on a much more regular basis. I have to keep working, not to arrive at finish, which arouses the admiration of fools… I must seek completion only for the pleasure of being truer and more knowing. I declared this one done because I can’t add without taking and I can’t take without adding. I was wondering if spending an entire week blogging about two small 5×7 paintings was worth the doing. It was. If for no other reason than I got to closely examine my process and allow it to evolve right before my eyes, so to speak. Then I get to share the fun. Ain’t the twenty-first century wonderful? Since I believe wholeheartedly that the art is in the doing, I don’t normally spend a great of time analyzing what I do. Cezanne warns us that painting must avoid the literary at all costs and da Vinci declares the painter superior to the poet. Who am I to argue with these two giants, yet, I blog.